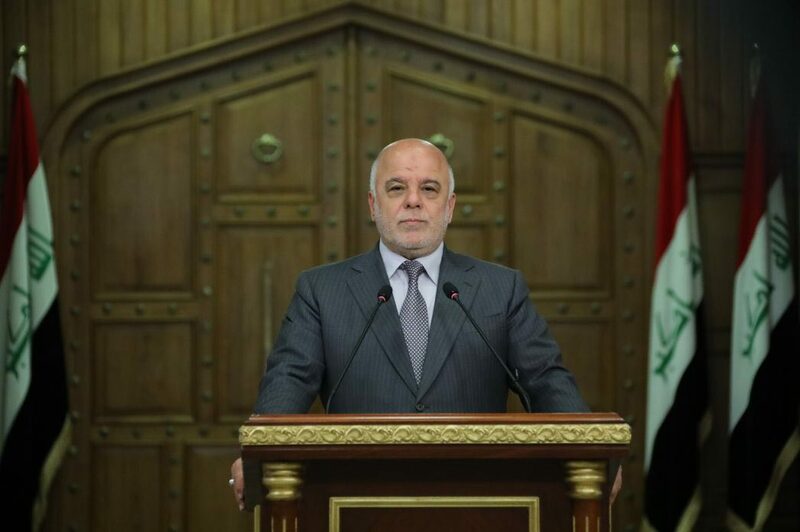 H.E.Prime Minister Dr.Haider Al-Abadi’s statement to the Iraqi people on the occasion of the parliamentary election. As you go to the polling stations to cast your votes to choose the best for Iraq for a bright future after we have passed the days of adversity, and the difficult years are over, the economy is improving, oil prices are rising, investment is coming, and World confidence is increasing. We do emphasize here on the freedom of citizens to choose in elections without pressure, coercion, fear or extortion. After we did achieve stability we will not allow any threat to the security and safety of our citizens. I tell you do not listen to the propaganda of intimidation and to tear the country apart. The country has united and they will not be able to threaten its unity again. We have ordered our heroic security forces to protect the electoral process, voters and polling stations. It is capable of protecting you. It protected the homeland and ruled out an oppressor. I invite you to cooperate with it. Your active participation in the elections reinforces the successes you have achieved and contributing to the liberation of the state from the ethnical and sectarian. I assure you that the terrorists, despite their despicable attempts, will not be able to harm your security and the security and intelligence agencies are chasing them, chasing them inside Iraq and beyond the border. Many of their leaders have been arrested and others killed and we will not allow them to go threaten again. Peace, mercy and blessings of Allah.